While half of the action in SHADOWBOX, my latest novel, takes place in Paris, the other half of the story happens in London. In fact, London is at the heart of the story. London in 1832 has a strange feel about it. Neither late Georgian nor early Victorian, the city almost hangs in limbo between two great eras, holding its breath, while William IV reigns. Huddled in the shadows of a waning moon, before the splendour to come. Of course, the city was neither waiting nor in limbo. It began to sprawl and to swarm with the great swelling of people that would turn it into the pinnacle of Empire by the time of Jack The Ripper. 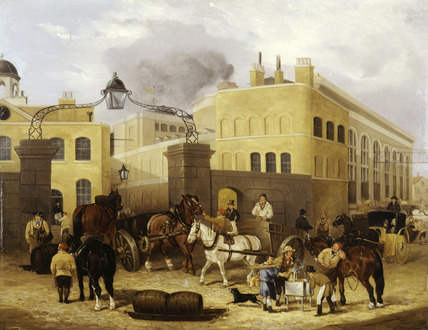 Already by 1832, London was home to a great range of peoples, from all religions and nations, some brought to Britain as refugees, and some as slaves. Within the goldsmiths quarter around Hatton Garden, many of the craftsmen and artisans had continental names. 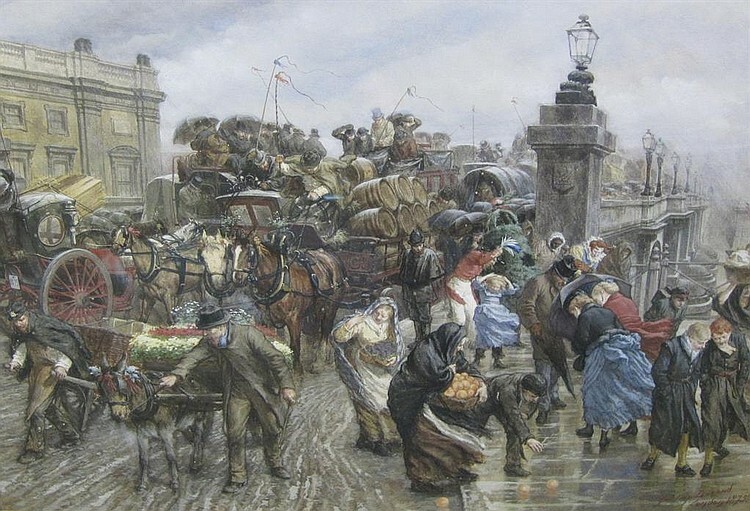 Jewish and Huguenot refugees came in the 16th century, fleeing religious intolerance. Some of those firms survive to this day. Godfrey Woolverham, the secondary hero of SHADOWBOX, has a heritage of Walloon Catholics and Danish Presbyterianism. His girlfriend is Polish, and his contemporaries are Jewish, Irish, Scots. Godfrey works for a living. His family background is essential to the story, his situation as a second-generation immigrant essential to his character. Louis Beauregard, on the other hand, has an independent income and has no need of work, or earning a living, and can travel as he pleases. His background, what we know of it, is privileged, gentrified, the sort which populates the corridors of power. At the start of the novel he is fleeing a crime he cannot forget, committed in London. And the Thames is at the heart of his troubles. The London of 1832 had yet to solidify around the river. The embankments which trammel the Thames through the city had not yet been built. 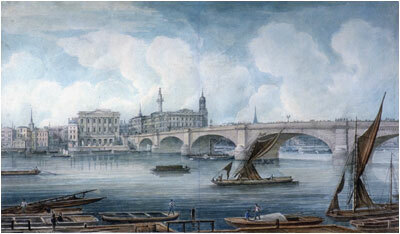 Bridges spanned the wide Thames from the Tower of London to Westminster. Regent’s Canal entered from the north, bringing goods from the Midlands and the Home Counties to be stocked by London’s shops or exported through the deep-water port to the cities of Empire. The great sandstone terraces in the west end curved around unpaved streets which had no names. The city’s reputation as a centre of world power was on the rise. But on the maps of the time there are still green spaces in the inner city. Lincoln’s Inn Fields has a square of parkland which has vanished by the latter half of the 19th century. The Ratcliffe Highway is unpaved, reaching out to the Essex marshes in a long dirt track eastwards, matched by the dirty King’s Road through the suburbs of Chelsea to the turnpike gate. A walled city, London, in 1832 – but not so firmly constrained as Paris, the barriers less tangible, more of the mind than bricks and mortar. Lack of violent invasion or the threat thereof, and a strong navy defending the Channel ports, meant there was no need for anything more than the turnpikes and excise roads. Barclay and Perkins’s Brewery, Park Street, Southwark. Oil on canvas. This view shows the entrance to the Brewery in Park Street with the office block at the rear of the yard. 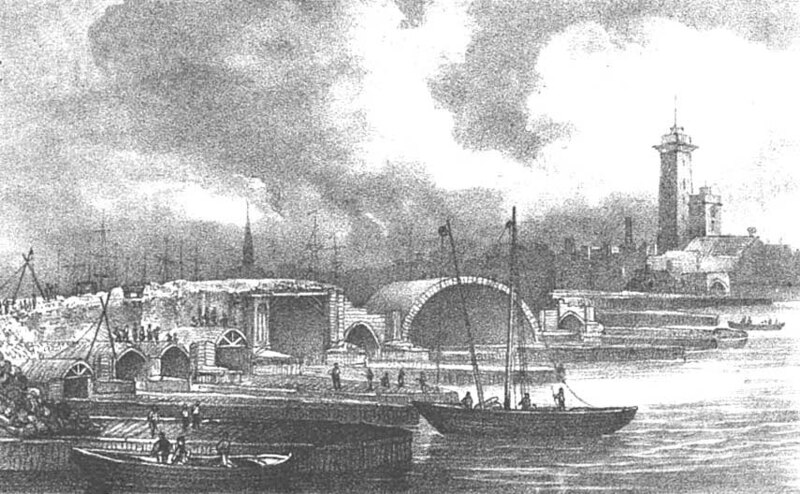 On the extreme right is Great Brewhouse, with its eight huge windows and light suspension bridge that connected it with buildings on east side of the street. This scene shows the barrels on horse-drawn sleds, a butcher’s boy carrying a wooden tray and to the right is a hansom cab. The most villainous rogues prowled the streets in cloaks, rich and poor, and notoriety followed the wealthy further than the nameless destitute. In the great slum of the central parish of St Giles, known as the Rookery, sat London’s bane. A thieves’ den, as it’s painted, but like the slums of Paris also a place filled with people who were, simply, too poor to afford anything better. Of course, nobody can write about London without describing the weather. In THE LAST RHINEMAIDEN the action takes place within a single Spring day, and the most important passage of time is measured by the tides which rule the Thames. In SHADOWBOX, late October descends into November as the story unfolds, and the darkness which follows the year towards its end has a strong bearing on the lives of my characters. London also has its rain, and snow, and glorious sunny days that brighten the parks and gardens and lift the spirits. One of the joys of British seasons is the variety within each, so that winter can be crisp and bright while a poor summer drags on under endless grey skies. I was in London in October to January: autumn, sliding into winter. My most enduring memory of that time is of standing by the waterfront under the shadow of Blackfriars Bridge, watching the sleet driven upriver from the North Sea, sodden flakes the size of a half-crown falling onto the cold brown surface of the Thames that was whipped into pale-tipped waves. I never lived in London. I can’t describe the little things which make up a city’s soul the way a native city-dweller can; as with Paris, so with London, for the most part. My descriptions are invented, but how could I lose sight of the essential spirit of the place when other writers have been there for longer, loved the city more than I every could, accepted London for being London without wishing it were somehow better? For my story, SHADOWBOX, London in 1832 threw up a very grimy dryad indeed. Next in this series: Le Roi Sacré. Join me on the trip by subscribing to the RSS feed or receive updates on Twitter, where I’m @LeeMcAulay1. And bring a lantern.